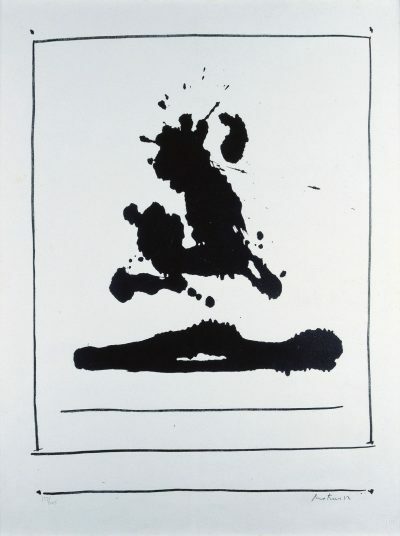 American artist Robert Motherwell (1915-1991) studied literature, psychology and philosophy at Stanford University and philosophy at Harvard University before turning to art in the late 1930s. Motherwell was greatly influenced by the expatriate Surrealists based in New York at that time. His experiments with their concept of automatism lead him to become a leading figure among the Abstract Expressionist painters of the early 1940s. Motherwell had his first solo exhibition at Peggy Guggenheim’s Art of This Century Gallery, New York, in 1944. His work is now represented in major public and private collections worldwide.